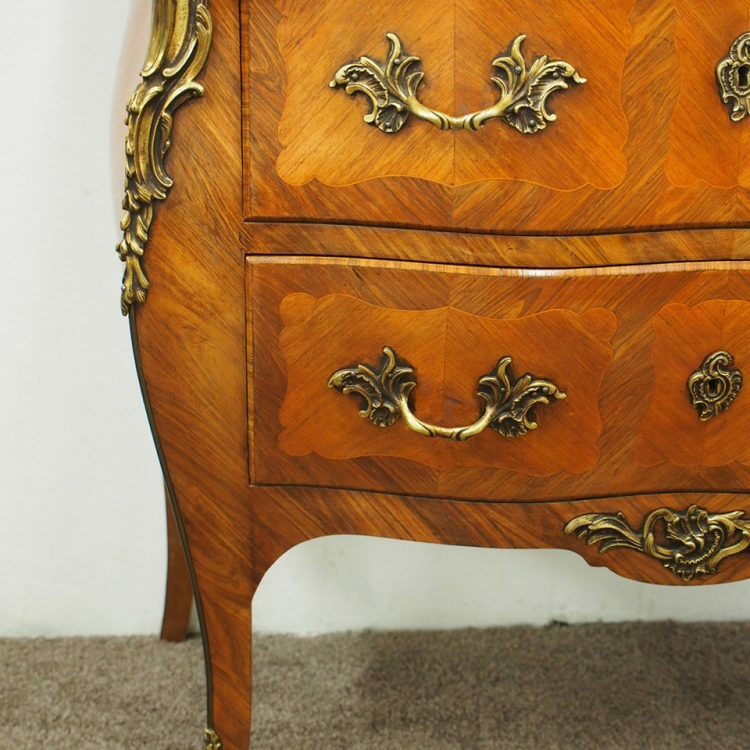 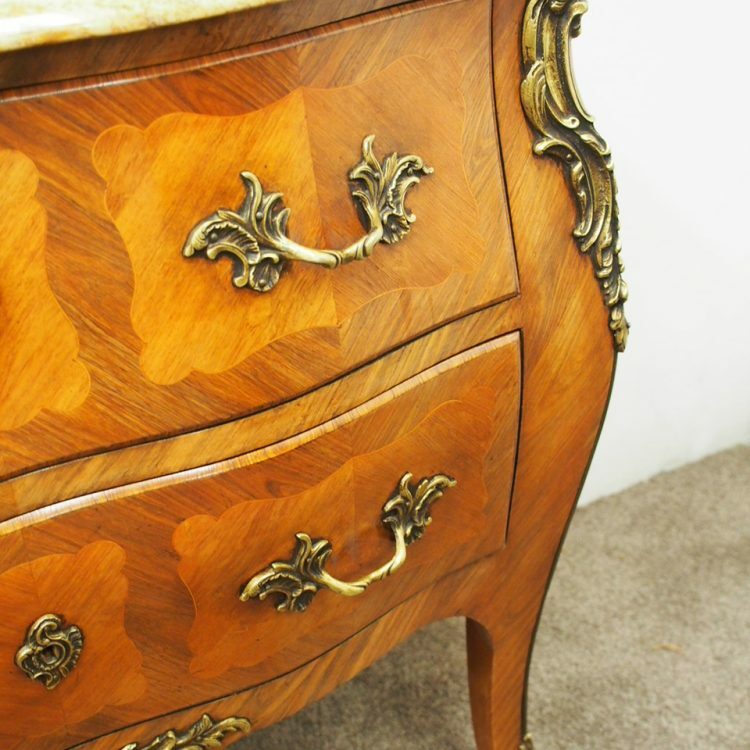 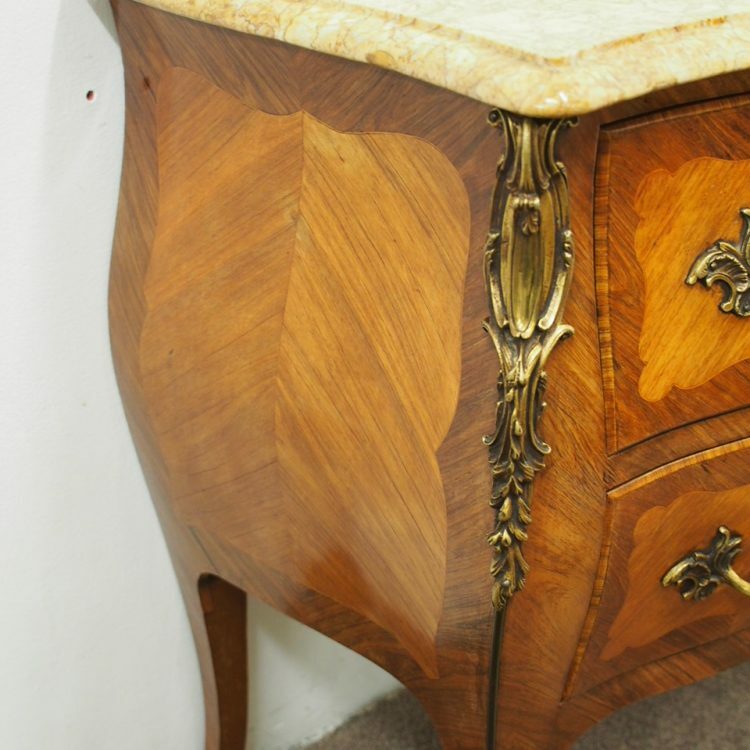 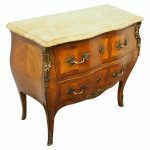 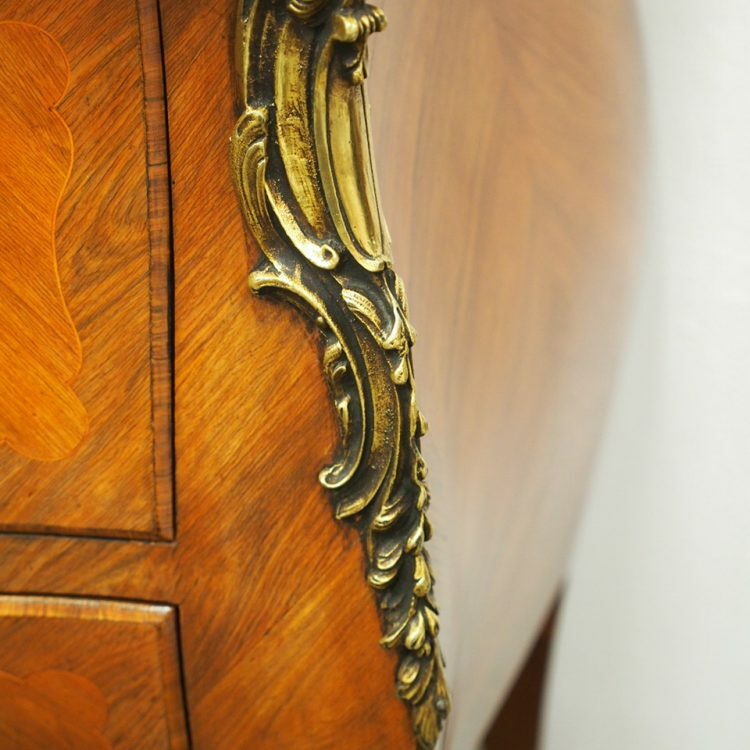 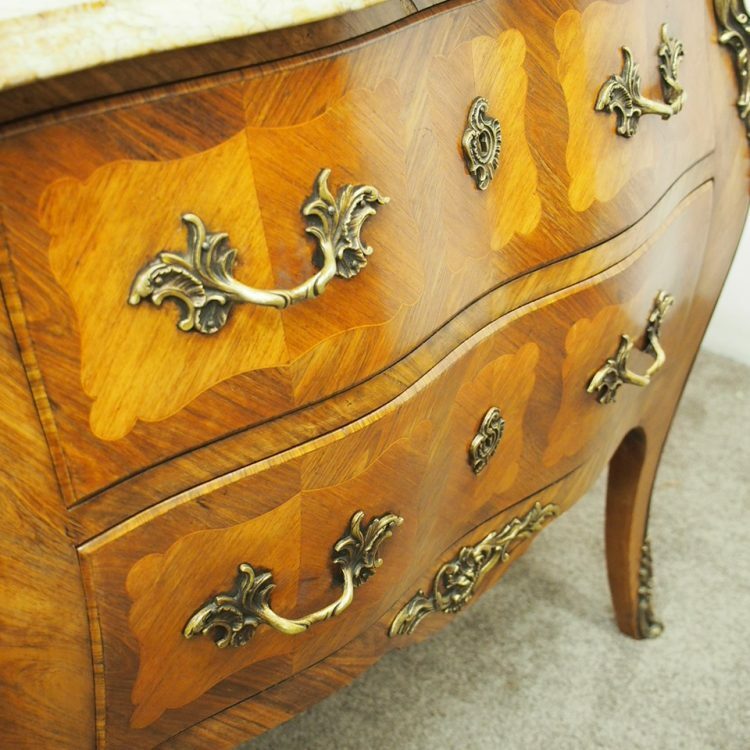 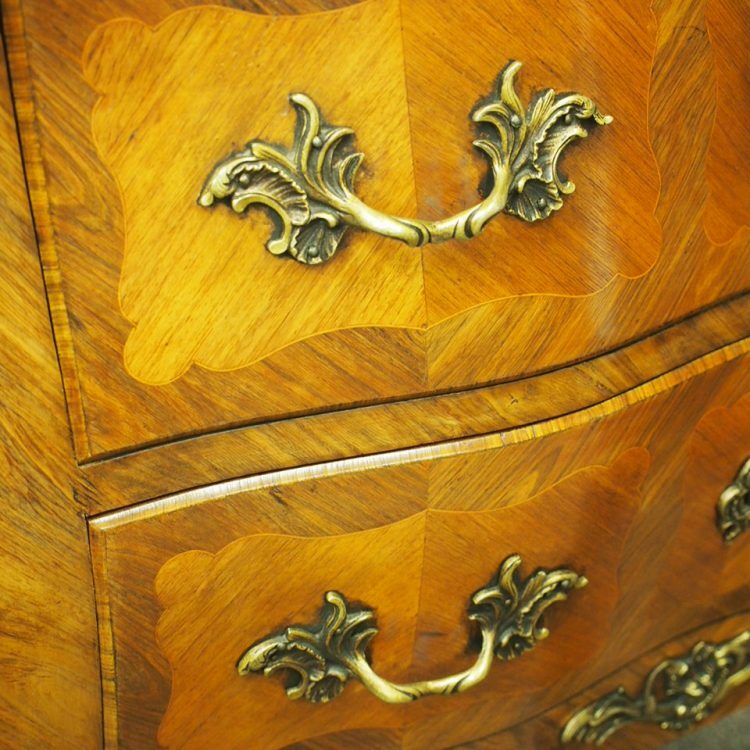 Circa mid 1900s, French Louis XV style Kingwood commode. 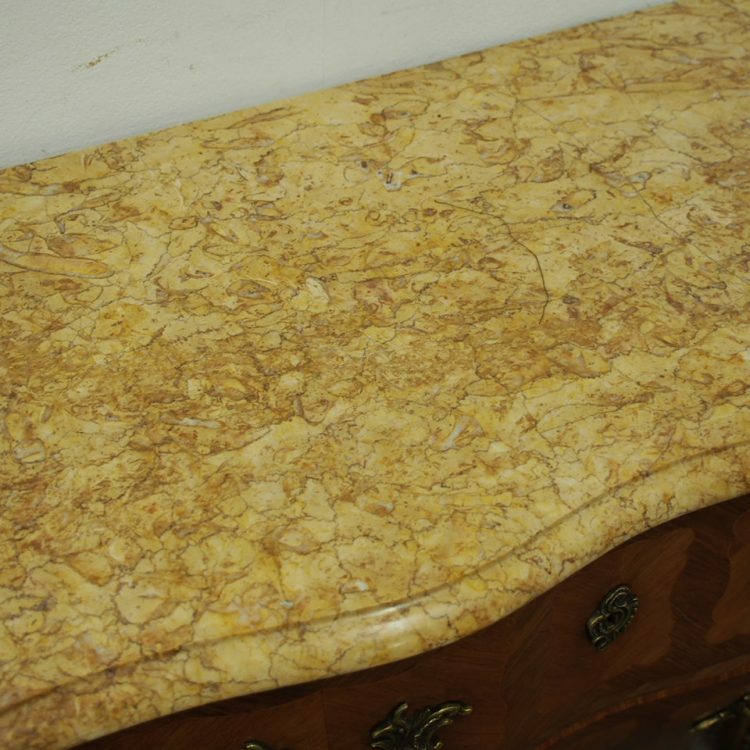 The serpentine-fronted, variegated yellow marble top sits over two deep drawers with inlaid panels and cast brass handles and escutcheons. 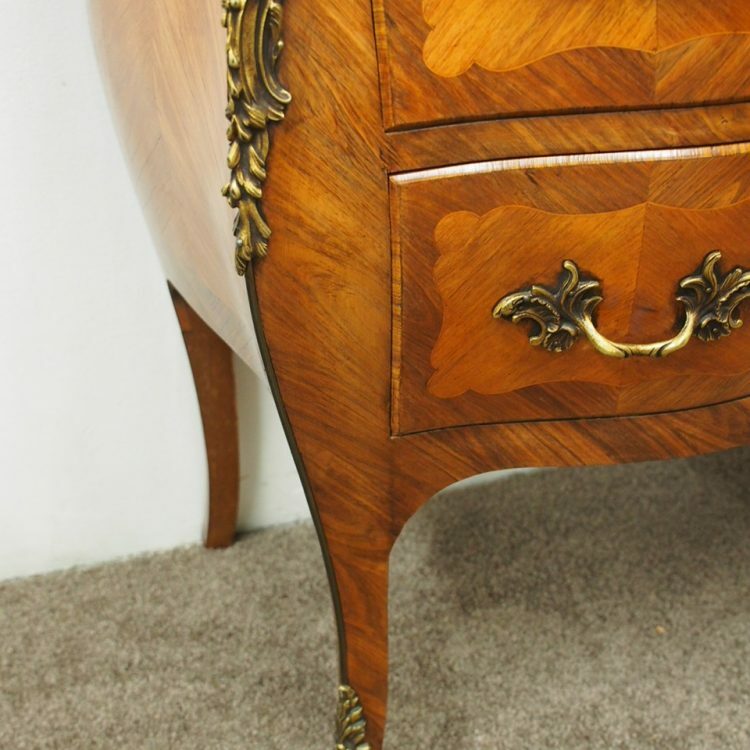 It has a shaped skirt with ormolu mounts and is standing on cabriole supports decorated with sabots. 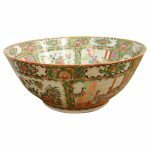 Size 88 cm high x 96 cm wide x 44 cm deep.